No fairy is ever far from her/his magic wand. Make them with your kids for fun at a birthday party or an afternoon. What’s more adorable than a tiny fairy? Why, their cute little house! You can make fairy houses as a fun craft with your child. 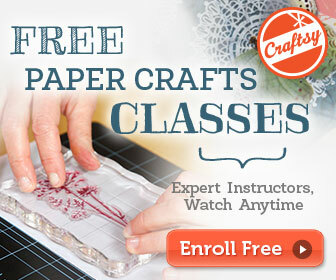 Try making a row of them, just as this craft show, from toilet paper rolls. Imagine playing in the park or the backyard, spotting fairies. You can make tiny dolls fairies for your child to find. A terrific game to play! Make fairies from household objects with your child. It makes it seem as if fairies are all around us when you use things we see everyday. Here is a fairy craft, made from clothespins. Your child can feel like a fairy each day, wearing a charming butterfly crown. These are easy and fun to make, with an adult’s help. Many children hear fairy stories that say that fairies are found near flowers. These lovely fairies are made to look like flowers! Children think fairies are terrific! Why not choose this as a birthday party theme? Look at this fairy birthday party! Choose an easy and fun Fairy Wand craft you can do with your child. This one has a glitter theme too! Make a fairy to celebrate the Fall season. This adorable pinecone fairy is perfect to decorate your home or as a gift. Every cute fairy needs an even cuter home. This one is adorable and sweet, a fun craft to do as a family. Now this craft is one we think any child or Mom will have lots of fun doing: making Fairy Shoes! Take an everyday pair of Mary Janes or other flat shoes and turn them into a wonderful pair of Fairy Shoes!